Going on a tropical vacation in the midst of winter has to be one of life's greatest pleasures. There is something so invigorating about stepping on that plane and realizing you are about to embark on a voyage where the skies are clear, the air is salty and the water is beyond blue. When you add your best friend into that mix you know you're in for the time of your life. It was such perfect timing when Upper Canada Mall asked me to be a part of their newly revamped Style Secrets sessions, and in doing so to share my Must-Haves for Fun in the Sun. It's no secret that many people find going on vacation stressful because of the packing. The uncertainty in the weather, the suit case space struggles, and the weight of luggage-- there are just so many variables! Not to mention the horrific question: "did I pack the right things?!". But you need to remember that this should be fun and exciting, and in no way stressful or overwhelming. That's why we are sharing the essential items in this style session, the ones you can't leave home without, the ones that do double duty and will have you set for the whole trip! I spent one morning at Upper Canada Mall picking out my top vacation essentials. Immediately upon stepping foot in the mall, I felt at ease. I had such a blast running around, checking out the fabulous stores, picking out my favourites from shops such as Topshop, Forever 21 and American Eagle, and then shooting them for you to see! Upper Canada Mall has every store you need for all the essentials; they are upscale in a casual way that makes shopping so comfortable and fun. Check out the video for my style secrets on how to pack smart while staying chic for your next winter getaway. 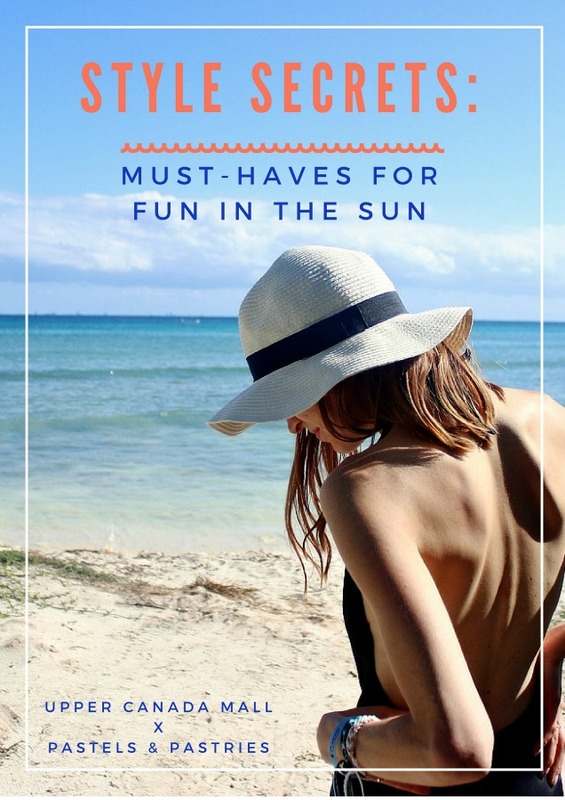 These tips will without doubt ensure you have the most fun in the sun! Since I had just come back from Mexico when we did the shoot I wanted to round up a few pictures from my trip so you can actually see how to bring these style tips to life. It always helps to see it on someone in real life, doesn't it? I hope you love the video! Let me know what you think. Be sure to check out the post on Upper Canada Mall's blog for some additional pictures! A HUGE thank you to Upper Canada Mall for asking me to take part in their Style Secrets video series. Check out below for more snaps from my bestie vacay to Mexico. You'll definitely notice these key pieces will pop up over and over again in the pictures! And ready for it... be on the lookout for a new travel VLOG coming soon!! Loved watching this. Turned out amazing! !I shall hit replay forever. lol. You are so sweet, Jackie!! Thank you for watching. Thank you Joëlle! Can't wait to see more UCM features!! I'm sure I've watched the video a dozen time! It turned out amazing and I loved your picks! The bathing suit is so sweet! I love the cut. I need it too, Gigi! Ah-- so nervous shooting it though! lol Thank you Kris!